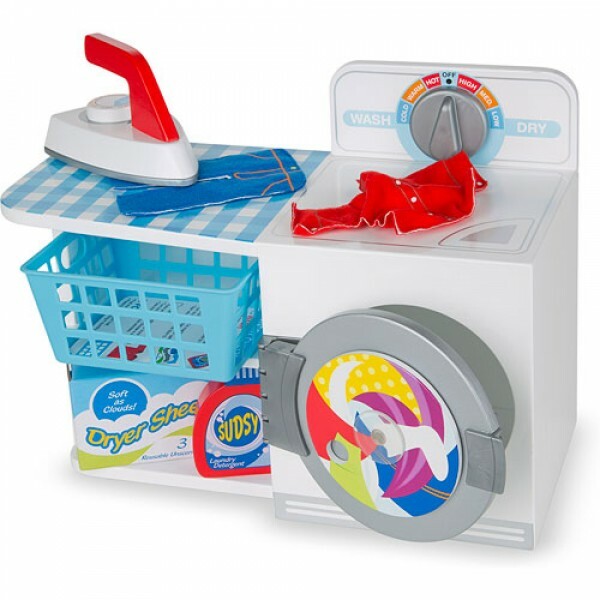 This complete Melissa & Doug household play set lets kids wash, dry and iron their clothes! 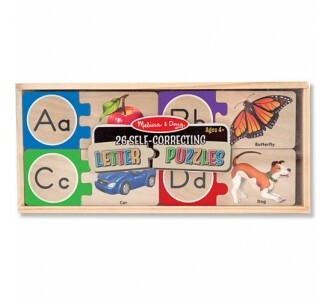 Wash, dry, and iron with this wooden 8-piece set by Melissa & Doug. Front-loading washer/dryer features a spinable window, control knob for choosing wash or dry settings, and an attached ironing board. Laundry basket, detergent and dyer sheets store conveniently on the shelves. Press out wrinkles from the shirt and pants with the sturdy iron with settings knob, and then store the clean, ironed clothes in the clothes basket. Kids can even use the handy checklist to keep track of laundry day chores. 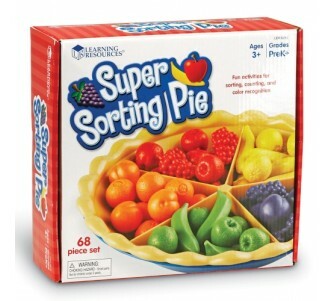 Imaginative play encourages hand-eye coordination and self-esteem.